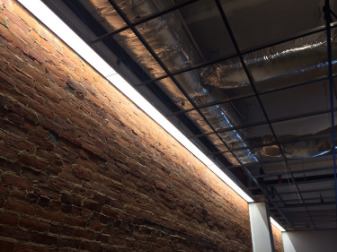 The first step in our service is to help familiarize you with solid state lighting and to outline the potential energy cost savings achievable through an energy-efficient re-lighting project. One of our professionals, at no cost to you, will meet at your location to analyze your current lighting installation and propose a new energy efficient lighting plan. Products available at your local home improvement store or purchased on the internet may not be what you expect: measurements in kelvin, lumens and beam angle, fixture design and other technical considerations must be addressed in any re-lighting effort. KOPA professionals have detailed knowledge with the technical specifications of our lighting solutions and will provide real world explanations and demonstrations, allowing you to make an informed decision as to whether or not you wish to maintain the current look or venture into something new. Kopa identifies and helps in processing any eligible Federal, State and Utility rebates. Where appropriate, Kopa will provide a certification(s) to these agencies. Additional savings can be further achieved by combining re-lamping with new lighting control systems can be as simple as adding dimmers or automatic switches that determine whether or not a room is occupied and switches that room's illumination on and off accordingly, or as advanced as a full implementation of Crestron© Control System through our in-house Crestron© certified installer, allowing for completely customizable central control of lighting and other building systems.